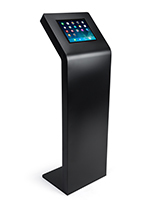 Designed for maximum security and featuring a sleek black finish, this iPad Pro enclosure kiosk is ideal for high-traffic public areas, such as malls and lobbies. 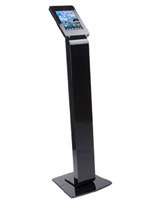 Customers will enjoy using this floor stand with a large viewing area and home button cover that prevents tampering. 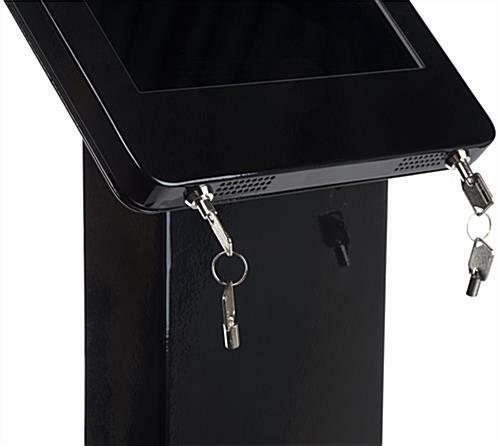 Part of our durable and secure Navigator series, the iPad Pro pedestal is designed to prevent theft with locks on both the frame and the back compartment. 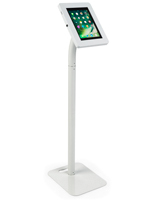 While assembling the unit, the tablet holder can be set in either landscape or portrait orientation for your display needs. The stored device can charge while in use with the built-in power strip so patrons can use the unit throughout the day without fear that the battery will run out. 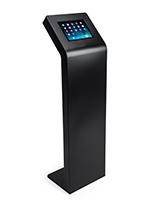 With a height of 54”, this black fixture is tall enough for patrons to use, while the angled holder ensures an easy-to-see view. 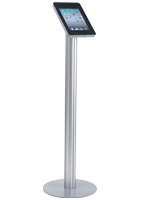 The powder-coated aluminum Navigator floor stand is rust-resistant for long-lasting use at a budget-friendly price. 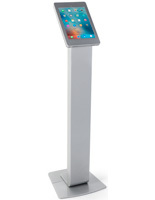 Use this kiosk as a secure way to collect information or promote sales while offering an interactive experience for customers! 15.3" x 0.39" x 15.6"
Looks good, very sturdy. 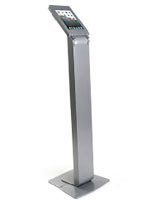 Perfect fit for our office Lobby as a guest check-in kiosk only downside, fingerprint magnet but if you keep it clean, it looks great. The stand is good, seems solid, but the locks seem a little flimsy and it was missing some of the hardware. When I opened the box, none of the hardware was in a bag it was just laying in the box wherever. But easy to install, sturdy, and should last a good long time. Thank you for the feedback, CR. We're sorry to hear that your hardware was haphazardly placed in the box. That is unusual indeed! We will pass this information along to our developers. We are happy to hear that overall the display is suited to your needs and thank you for the nice star rating. The stand is very good quality, the parts align nicely and it's heavy-duty. 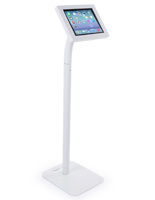 This stand will be used to ship to various field events, so it would be helpful if the stand came as two parts, it would make it easier to ship. 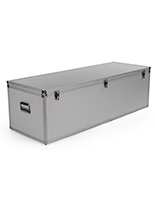 It was very difficult to find a shipping case the right dimensions to ship this item. Thanks so much for the helpful feedback! We've passed it along to our product developers. We hope you shop with us again soon! The product arrived as expected and installed flawlessly. Looks good in our lobby. Only issue that I have is the power cable should match the paint color (i.e. black power and power strip for a black unit, white for silver). This looks awesome, Bryan! Thank you for attaching a photo for us to see. We're happy this worked out for you and hope we can work with you again soon!